the sampler blog hop (GIVEAWAY), bella GDT, and STORE! I’m surprised that whole title even fit on that line, but that’s besides the point. I’ve been swamped like you wouldn’t believe… or maybe you believe me, haha! …so today is The Sampler blog hop. Wanna know my favorite part about this kit?! It’s get TWO sets of letters. Not one, but TWO! Now that’s a rockin’ kit. Okay, so I think you are at the end of the blog hop… but make sure to head on over to The Sampler blog because there are some awesome prizes going to be given away to FIFTEEN winners (three of which will be from my blog). Leave a comment to this blog telling me what you plan on eating on Thanksgiving, and we’ll pick three winners as soon as possible! As for Our Paper Place, it’s going GREAT! I’ve had some smiling faces stop by the store to peek in, and it’s been fun chatting with all of you. Seriously, the response has been UH-MAZING! Today, I ran out of flyers again. They are literally “fly”in’ out of the bin at the front of the store. I plan on bringing more today, so if you happen to be in the area and want to check out the latest classes and events going on over at Our Paper Place, swing by this weekend to pick up your flyer. 😉 If you find something you’re interested in, don’t hesitate to call or email with questions! Hope all is well with everyone! When life becomes more “normal”, I’ve got my fingers crossed I can post more regularly. PS: I’ve got less than a week to get everything in order! YIPES!!! Wish me luck because I’m gonna need it. …and who’s gonna stop by the store on Black Friday?! Hopefully, I’ll be able to see some of your pretty faces! Wow! you have been a busy girl! Good luck with your store. Too bad I live across the ocean – otherwise I would have stopped by! As for Thanksgiving: Since it is not a tradition at all here in Austria, I am trying to get the traditional items. So far, I have not had any luck with the cranberries, but I still have one store left! The turkey is ordered and I am sooo looking forward to the stuffing. It is the best part of the dinner! great layout! i love the sketch. hope you have a great Thanksgiving dinner too! we are having all the traditional stuff – turkey, stuffing, cranberries, and on and on – YUM! 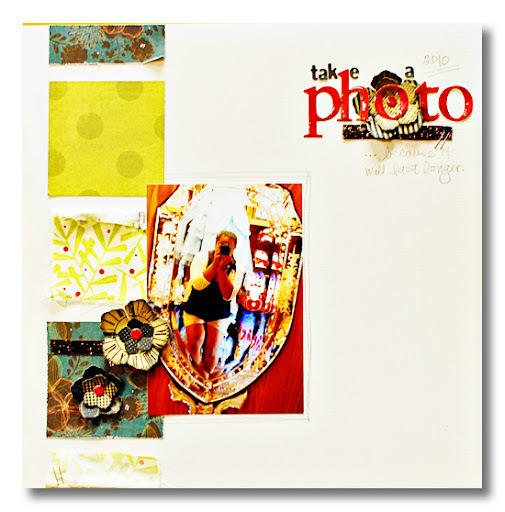 Love your Sampler layout and the Bella layout! Good luck with your store – so wish I lived close enough to visit it! We already had Thanksgiving but I ate tons of Turkey and stuffing! Good luck with the store! Wish I could be in SF Bay area on BF, but it’s a long trip from New England!! LOL! Love the layouts! On Thanksgiving day I will NOT be counting calories! LOL! Turkey, Cider Glazed Ham, Stuffing, Gravy…yum gravy! Sweet Potato Casserole, Carrots, Cranberry Sauce, Peas and Onions, My Great Grandmothers Pecan Rolls…. (to die for!) and for dessert Apple Pie, Pumpkin Whoopie Pies, Chocolate Cream Pie, Pumpkin Pie and Red Velvet Cheesecake!! About a Tablespoon of each and I can stay on track!! LOL! Good luck with the store. It must be so exciting! I’m eating gluten-free cornbread stuffing on Thanksgiving! And turkey! im glad your stuff is going so well 🙂 it looks like a lot of fun….i wish i lived closer to it! for thanksgiving i’ll be eating a meat s=dish (yet to be determined), some side dishes (among which my faovrite will be a yummy, yummy pasta)….and strawberry daiquiris…it has become a fun tradition! You have been busy! We will have turkey, mashed potatoes, green bean casserole, the works really, but we have to have some ham for hubby as he is deathly allergic to poultry… Thanks! I plan on eating turkey, ham, potatoes and lots of pie!!! I’m also thinking about making leaf shaped gingerbread cookies…yum! Good luck with your store! FABOO sketch and layout! 🙂 Good luck with the store…its getting so so close! Your layouts are beautiful! I wish I could stop by your store… unfortunately I live in Michigan. 😦 As for Thanksgiving, I’m heading over to my dad’s house and other than turkey, stuffing and pie, I don’t know what they’ll be serving. It’s always good though and I’m looking forward to it! I won’t be in the area on Black Friday, but I hope to be able to swing by soon and check it out!! 🙂 I’m sure you’ll have a great turn out on your first day and everything will look fabulous!!! Great take on that sketch!! Wish I lived in your area as I would SO be stopping by – good luck! And for Thanksgiving I am most looking forward to pumpkin pie with cinnamon ice cream – ohmyheavens! I love the two layouts! Thanksgiving is going to be with 20 family members, so there will be tons of traditional sides – mashed potatoes, stuffing, green bean casserole, candied yams, etc. For me, it’s all about the turkey and gravey! Wish I was in the neighborhood to drop by black Friday. I hope it’s a great day for you. I always love your work but this first layout just rocks! 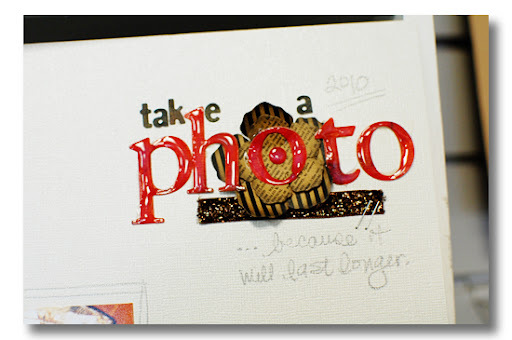 LOVE the little caption under “take a photo” LOL! For Thanksgving I will be eating a bit of everything….lol. Turkey, mashed potatoes, gravy, veggies, sweet potato casserole, mac n cheese, stuffing, pumpkin pie and peanut butter crunch cake! We are a very traditional family so it’s traditional fare (which is my favorite dinner of the year! ): turkey, sweet potatoes, olives & celery, cranberry and more and of course, pumpkin and apple pie with whipped cream (or ice cream!). I’ve lost a few pounds just so I can stuff myself. ha ha Hope your Thanksgiving is delicious! After giving up sugar for going on three weeks, I will be eating pumpkin cheesecake, pumpkin roll, and cornbread casserole… yum! And of course, all the staples: turkey, stuffing, homemade cranberry sauce… can’t wait! We will be eating pretty much everything on Thanksgiving – turkey and all the trimmings. Will only be the 3 of us but I will do it all up! Love your layout! As for what we’re eating on Thanksgiving…we’re going all out, like we do every year. Turkey, Ham, Rice, Stuffing, Yams, Green Beans, Corn, Peas, Dinner Rolls, Macaroni and Cheese, Apple Pie, Banana Pudding, Pumpkin Cheesecake, and Chocolate Covered Peanut Butter Ritz Crackers. I can’t wait!! Thanks for the chance! We’ll be having turkey, macaroni and cheese, homemade rolls, mashed potatos and gravy, a big salad, and pumpkin and apple pie for dessert. Yum! I so wish I could be there! I’ll be thinking of you! And thanksgiving…turkey, stuffing, my mom’s rolls, and hopefully some derby pie! Great layout!! I wish i lived closer to your store! How bad is it if i say that my Mother in Law is not the greatest cook so i usually end up eating the things off of the veggie and fruit platters and then carbo load on my Sister in Laws homemade rolls. Yummo. Have a wonderful holiday everyone! Great layout. We are eating turkey, stuffing, sweet potatoes, cranberries and pumpkin pie. I wish I lived close to your store!!!!!! I think this Thanksgiving I will be making the gb bake. Of course I use 98% fat free soup with it! Good luck on the opening!!! I hope that you end up having an online store too!! I’ve been missin’ your posts, Sarah! But, I understand your busy with the store (and the sneaks are great!). I will be making the traditional Thanksgiving meal. Can’t wait for the Pumpkin Pie with a ton of COOL WHIP!!! Oh and I am sending you all my energy to help you out. traditional stuff! i’ll bring you some of the test run of sweet potatoes on wednesday! Great sketch and layout! Enjoy your Thanksgiving dinnerHere in Canada we’ve already celebrated Thanksgiving. We had turkey, stuffing, mashed potatoes and gravy, vegetables and jelly style cranberry sauce. hope you have a great too! I cant wait for Thanksgiving dinner. I hope you plan to post more photos of your new place once you are settled and open for business. Great work as usual girl! And I’m so excited for you about the store! All the best!! Wish I lived closer to go see!!! Hope to pack away some pie today…so love apple pie…guess I better go take the dog for an extra long walk!! Thankful this day that I can call you friend…blessings to you this holiday…best wishes! beautiful layouts! and I love the picture of the flowers! Loving the shop…♥ Good Luck! GIRL! Congrats!!! 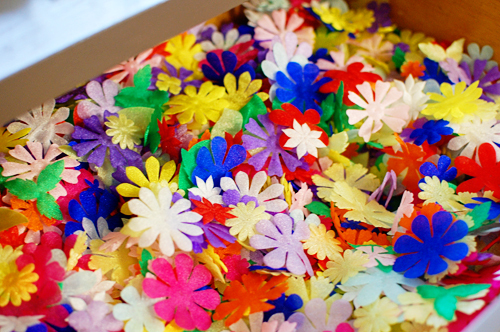 My best friend owns a scrapbooking store… get ready to have no free time! LOL! I SO wish you had been open when we were in the area! We spent our 10 day vacation in Rio Del Mar and Santa Cruz! I use to live out there, and MISS it so! Made the hubby put his resume out there… maybe I will still get to see you! Hope so!